Think you’re on the verge of building the next AI tech titan? As an entrepreneur with an excellent business idea, and a desire to take your business to the next level, you’re going to need to know how to raise capital. A great idea is the first step, but you also need the right tools and strategies to make your business a reality. 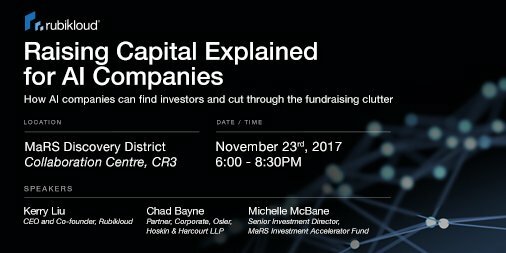 Join us to learn from two seasoned professionals part of the Toronto funding landscape, Michelle McBane from MaRS IAF and Chad Bayne, a top corporate lawyer who has helped Toronto startups, such as Borrowell Inc., Hootsuite, Weathsimple, Ritual and Vision Critical takeoff. 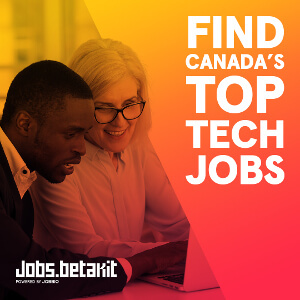 This open discussion is for entrepreneurs, AI and tech industry professionals, and individuals interested in raising capital. Questions for the speakers are welcomed and encouraged. This event is free to attend. We’re looking forward to meeting you!